Is High Street Shopping Making A Comeback? Despite growing attraction for consumers to always be online, high street shopping could be making a comeback as some brand sites see profits suffer. Recent figures from CLICKON Social Labs have indicated that over 50% of participants would rather shop at a brick and mortar location over online shopping. 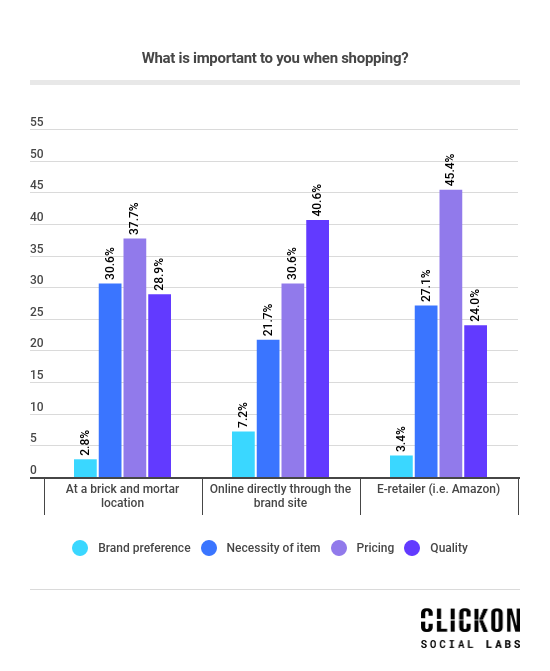 The most important factor for participants when shopping overall was pricing, but consideration of price reached the highest level of 45.4% on e-retailer sites. 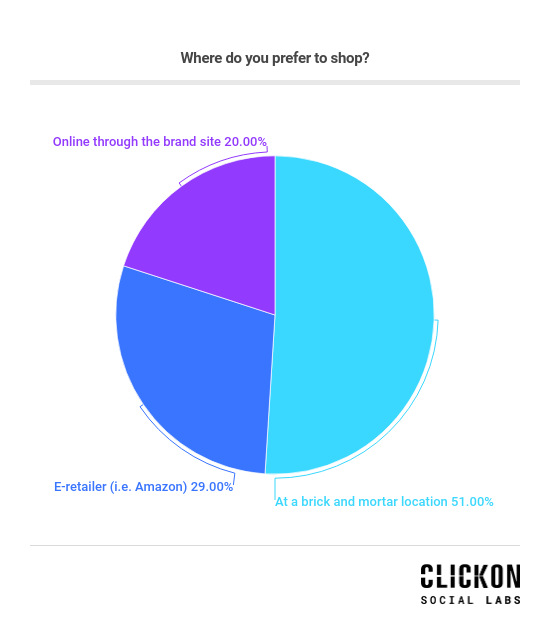 CLICKON Social Labs have conducted two polls, each of 903 participants, to investigate their preferred location to shop: brick and mortar locations, brand sites, or e-retailers, and what is most important to them when shopping. These figures demonstrate that the high street experience is not yet dead, despite society’s growing obsession with social media and an online presence. Retail giants such as Woolworth’s and BHS left the high streets for good, and according to the accountancy firm PwC, 1123 stores left 500 of Britain’s top high streets in the first six months of 2018 alone. When online shopping was in its infancy, in order to stay competitive with its round the clock shopping, high street shops became caught in a cycle of continually hosting sales or offers in an attempt to entice customers away from their screens. Home comforts and convenience had brick and mortar stores worrying that high streets would become history, but online retailers such as ASOS and Boohoo have just revealed that their profits this year are surprisingly a lot lower than usual. It is evident that over the years, high streets and online shopping have been battling for dominance but could 2019 be the year that the high streets make a comeback for good? Of 903 participants, 51% said they still prefer shopping at the classic brick and mortar location. This could be a result of a more savvy audience who do not wish to be directly sold to via interruptive advertising. If consumers were to venture online, whether it’s the 29% that go through e-retailers or the 20% that go directly to brand sites, they will experience many occasions of interruptive advertising on their journey to making a purchase. This does not end when they click off the respective site, it will follow them while they scroll through their Facebook news feed, or in the Instagram explore feed. Whereas, if consumers take to the high street, the advertising that fills their experience is more localised and provides direction, not interruption. For example, in fashion stores, the decoration of mannequins offer inspiration and would provoke interest in items they may not have otherwise thought of buying. However, when shopping online, the consumer could be faced with scrolling aimlessly through many pages of items before coming across something they actually want to purchase. The next poll asked participants what was most important to them when shopping: brand preference, necessity, pricing or quality. When making online purchases, consumers can face many issues that can influence their decision to complete a transaction. Quality assurance is most important to 40.6% of participants purchasing on brand sites, almost 1.5 times more than at a physical store. This indicates that consumers are clearly more concerned in receiving value for money and are taking more time considering their purchases when they cannot physically see the items. Following this, brand preference is least important at brick and mortar locations at 2.8%, which is again likely due to the fact that the participants are able to physically see the quality of the items and try them on for size, therefore rely less on the brands’ reputation or other consumer feedback before purchasing. The last issue that many consumers are faced with when making purchases is necessity. Surprisingly, necessity is most important when participants are purchasing in store, which can relate to the subtle advertising stores provide in their layout. 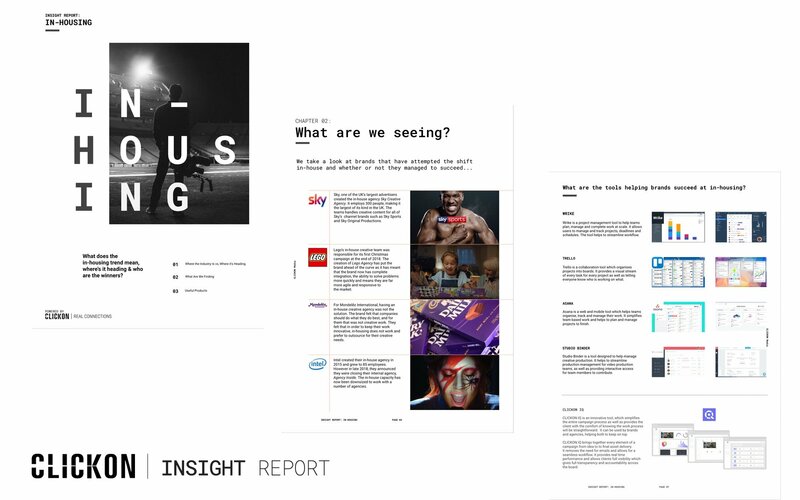 Consumers are more readily exposed to a variety of items which they do not have to scroll through pages or flick through various tabs to find. It is far easier to collect a number of items they wish to purchase and therefore would have to consider the necessity of each before committing to that purchase.